As you may have seen, I have added a new page; Holden's Monthly Photo Project. Now that his monthly photo project is complete, I wanted to put all of the images and monthly blog posts in one place. I've put each monthly photo with a link to the post for the full two years of the project. I have also added the completed images of each full year seen below. I took the photos on the 1st of every month, maybe a few days late some months, wherever we were. 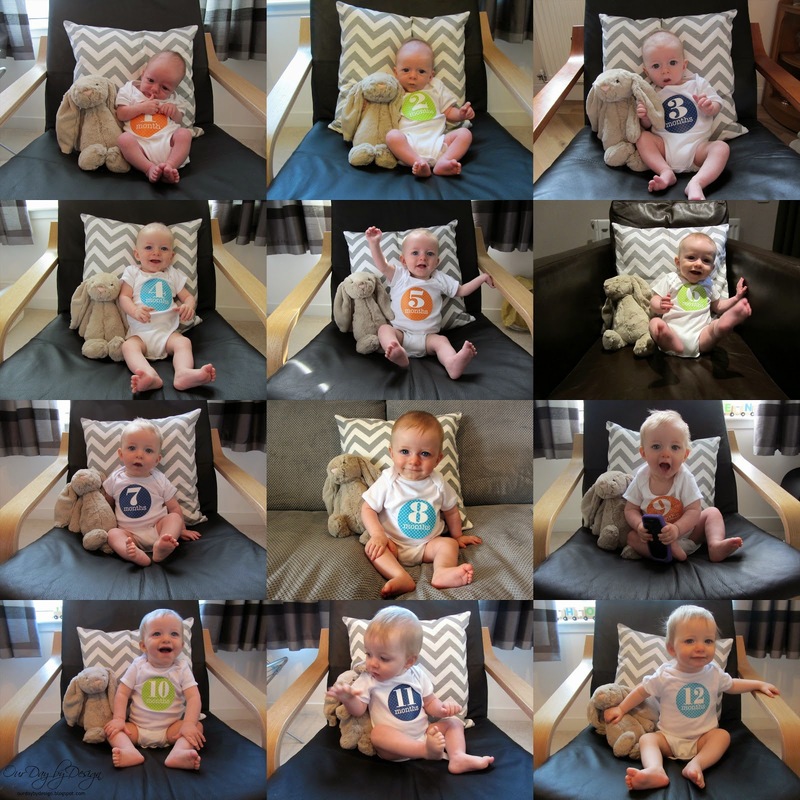 I'm so glad I did this as it shows when were on holiday or staying at me parents; at 3 months we were at my parents while my back healed, at 6 months we were at Center Parcs, at 8 months we were in Australia then from 14 to 18 months we were living at my parents while our new house was built. All the photos from then were in our new house with the exception of 22 months when we were in Florida. You can see all of the photos and links here. Gosh... your boy has grown! 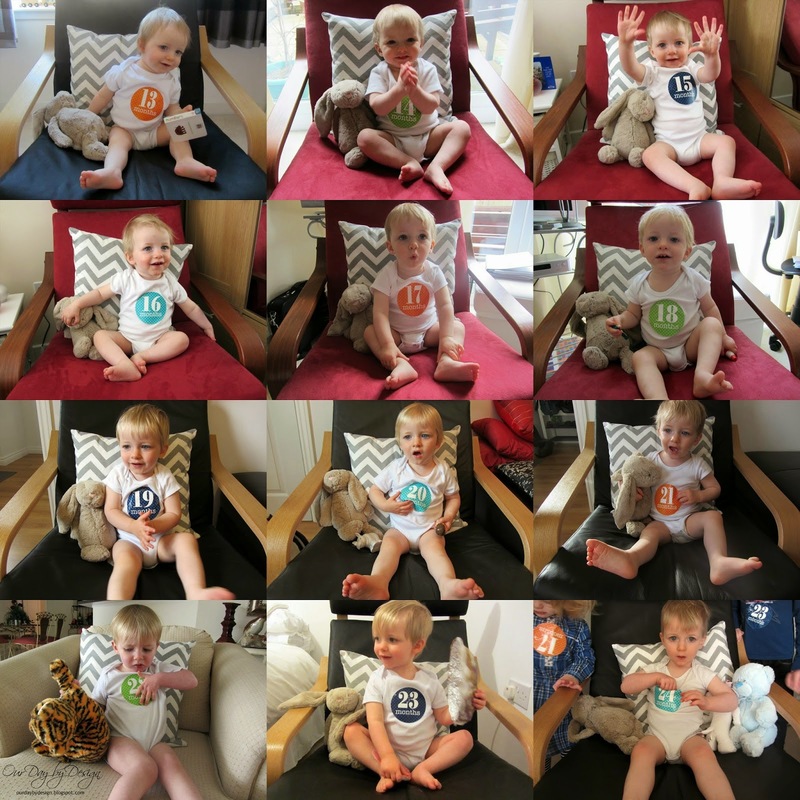 Such a great project too to document his growth - definitely something I'll be looking to do when the bub arrives!